Read Nikki's review of Glass. From Unbreakable, Bruce Willis returns as David Dunn as does Samuel L. Jackson as Elijah Price, known also by his pseudonym Mr. Glass. Joining from Split are James McAvoy, reprising his role as Kevin Wendell Crumb and the multiple identities who reside within, and Anya Taylor-Joy as Casey Cooke, the only captive to survive an encounter with The Beast. 19 years in the making, with also being one of the most anticipated movies of the new year, Glass makes its way to theatres this weekend. 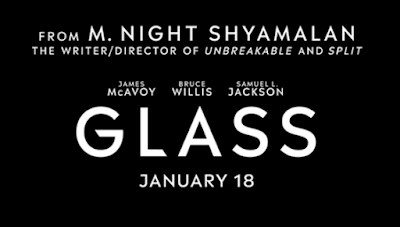 I was really excited to see this movie, having seen both ‘Unbreakable’ and ‘Split’, but I also did not want to give my hopes up due to the fact M. Night Shayamalan seems to make horrible movies when the pressure’s on. 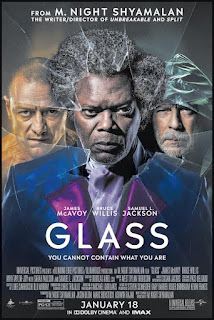 That being said, Glass was enjoyable halfway through, leaving the ending a huge disappointment given how much potential the movie had with its two previous movies. The film brings together the indestructible David Dunn (Bruce Willis), the physically fragile but brilliant Elijah Price (Samuel L. Jackson) and the Kevin Wendell Crumb (James McAvoy) who contains 24 personalities and is also known as ‘The Horde.’ The three of them are taken into Raven Hill Memorial Psychiatric Research Hospital and interrogated by a psychoanalysis (Sarah Paulson) who specializes in delusions of grandeur and tries to understand why these three believe they are superheroes. I do believe that in order to understand the movie fully, both Unbreakable and Split should be watched. First things first, McAvoy is so incredible, as he was in Split. He really steals the movie. I was amazed watching him switch between personalities quickly and in one take. It’s not just his changing voice either, it’s also the posture and mannerism that changes so sudden. That being said, Jackson and Willis were in the background for the most part. Jackson wasn’t in the movie much until the end and Willis was barley in the movie, which makes me a bit sad. The film opens up with a really incredible face off with Dunn and The Beast. I would say that the first ⅔ of the film was pretty enjoyable. It builds up a lot of tension and expectations for a huge killer ending. Sadly, it gets thrown away with a messy and occasionally cringeworthy third act. I won’t spoil the movie for you but yes there is a final showdown between the three men towards the end. During that scene, I was waiting for the moment that would get me excited, which sadly, never came. We all know that Shaymalan loves his twists, so I knew there would be one. But again, when that moment came, I was shocked, but not won over. I do think that this movie is worth watching because of McAvoy’s performance. 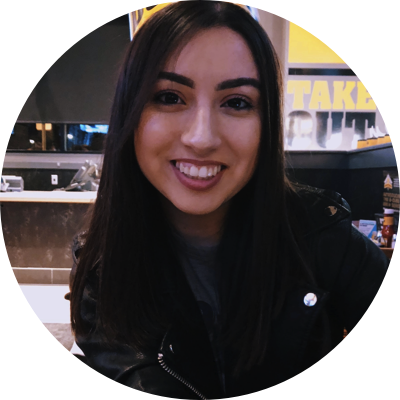 Nikki (Contributor) is a Chicago Native who loves watching movies (some definitely more than once). Her favorite genres include Thrillers and Dramas. When she's not at the movies you can most likely find her at a live concert, singing along to a Disney classic or binge watching Netflix. Click Here to check out Nikki's Articles.